If you’ve been to Louisiana, there’s a high chance you’ve heard of Baton Rouge. While the city isn’t as famous as its neighbor New Orleans, it’s still got plenty to offer its residents. Baton Rouge is considered one of the energy capitals of the South. Its proximity to the Gulf of Mexico makes it a hotspot for oil and gas related industries. In addition, it’s home to the largest university in Louisiana – LSU. Public transport isn’t great in Baton Rouge, especially if you live in the suburbs. If you own a car in the city, it can be expensive to maintain – you have to think about insurance and other related costs. 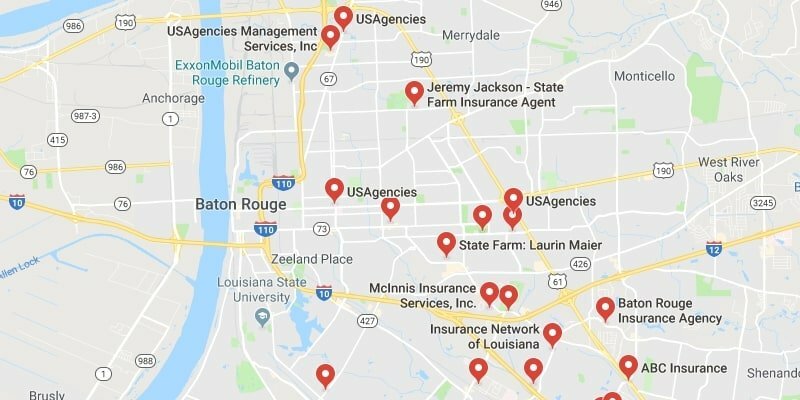 In this article, we’re going to take a look at information that can help you stay safe on roads in Baton Rouge. 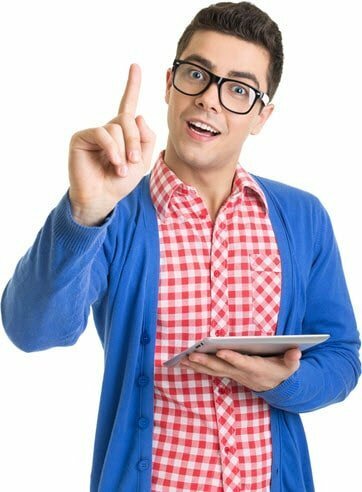 In addition, we provide our readers with suggestions for the top insurance companies on the market – make sure to check out our content below! How Helpful Was This Article on Baton Rouge? 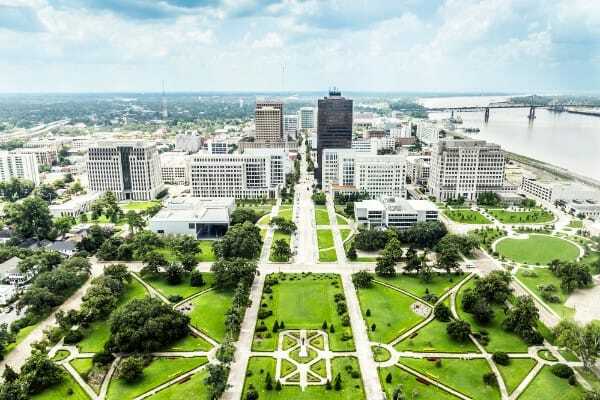 While Baton Rouge isn’t a particularly large city, traffic can get very hectic during certain times of the day – this is especially true for commuters. A major freeway runs through the center of the city, which results in large amounts of traffic for people coming to and from New Orleans. If you want to avoid this congestion, try and travel when people are not typically commuting to and from work. The main natural hazard in Louisiana is storms – there are large storms and hurricanes in the area during the summer and fall. While you might consider New Orleans famous for the number of horrible hurricanes that hit the city, many of these same storms devastated Baton Rouge, too. You need to make sure to stay up-to-date with weather reports and alerts. In addition, you should make sure to have comprehensive insurance as flooding is a consistent issue in the region. Louisiana is often referred to as a country of its own – it has a unique culture and French influence. As with most states in the USA, there are different rules and regulations in Louisiana. If you want to avoid a fine or blemish on your driving record, you need to try and understand the rules as well as possible. It can save your money and time, as well as keep you safe, below we will discuss the most prominent laws in the region. As distracted driving increases in prevalence, many states like Louisiana are aiming to crack down on the issue. While distracted driving doesn’t have the same stigma as intoxicated driving, it can often be just as dangerous. In Louisiana, it is now illegal to text and drive – you are also not allowed to look at social media or other messages while you drive. Punishments can be extreme – you might face up to $500 in fines for your first offense. Also, if you’re under the age of 18, you are not permitted to use your phone for any purpose while on the road. Louisiana has strong laws for seat belts. In fact, everyone in the state of Louisiana has to wear a seatbelt at all times while driving. If you want to avoid a large fine, make sure to ‘click it or ticket’ as they say! Again, this might sound annoying, but the law is in place because of substantial research that suggests seat belts can save lives during accidents. Make sure that all children under 4’ 9” are not using regular seat belts – this can be extremely dangerous for young or short children. Helmet laws in Louisiana are some of the strictest in the country. The state has a zero-tolerance policy that requires all riders and passengers to wear helmets at all times. If you don’t wear a helmet, you’ll stick out like a sore thumb – police will fine you for the infraction. While many motorcyclists hate the idea of having to wear a helmet while riding, it’s very important if you want to remain safe. There is substantial evidence that wearing a helmet reduces the chances of serious injury or death – your head is important! As you can see, Louisiana has strict laws for many different driving related offenses – the same goes for intoxicated driving. The policy in Baton Rouge take intoxicated driving very seriously – if you are caught, there are severe punishments. For those over 21, the BAC limit is .08 – for those who are under 21, the BAC limit is .02. If you are caught, you may face up to half a year in jail, a year of license suspension, and up to $1,000 in fines. If you reoffend, the punishments will increase dramatically. In 2017, the city of Baton Rouge saw a drastic increase in car thefts when compares to the year before. 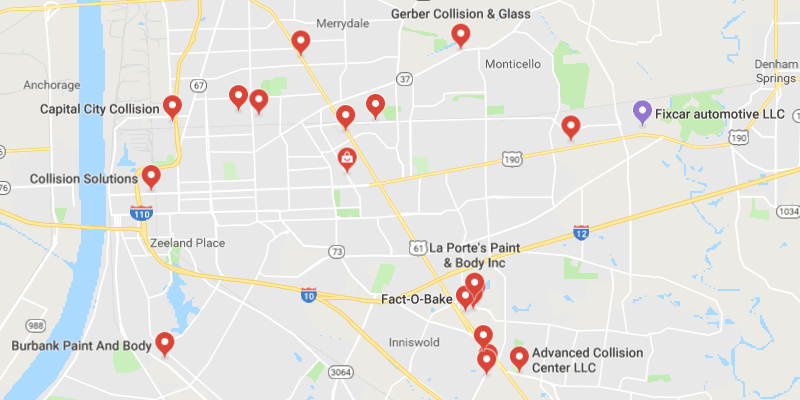 While neighboring city New Orleans is considered much more dangerous, car theft is still a major issue in Baton Rouge. Make sure to secure your vehicle overnight. Also, a comprehensive insurance plan that offers theft protection is very worthwhile. Don’t underestimate the value of auto insurance. If you choose the wrong plan, you might not be covered for things that truly matter. If you want to find some of the best policies on the market, make sure to check out the insurance companies that we suggest. In addition, you can find out everything you need to know about auto insurance by checking out all the informational content on our site!